By adopting a classic tailor's trick and paring it with only the best materials available Mont Bell has brought extreme comfort and thermal efficiency to the ultralight world. We found that integrating a woven fabric "cut on the bias" and orienting the fabric's warp and weft threads at 45 degrees to most major seam lines the sleeping bag becomes more fluid in nature. To create an even more comfortable system we utilize an elasticized thread in the stitch to create small "gathers" in the quilting. Through the combination of strategic seam orientation and the stretch provided by gathered quilting we offer unrivaled fit and comfort. 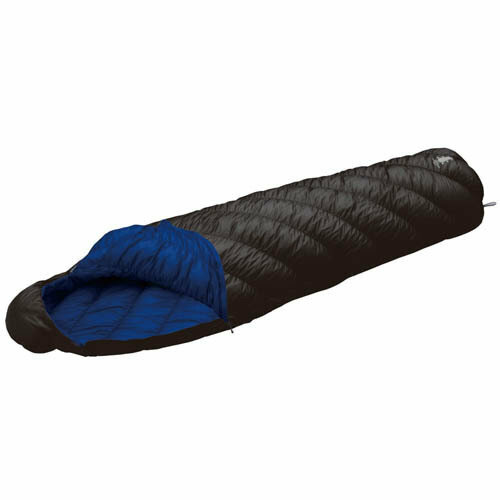 These innovations allow the sleeping bag to move with you as you change positions throughout the night, drawing the premium 900 fill goose down closer to your body and eliminating drafty dead spaces. Keep body heat inside your sleeping bag, where it belongs.